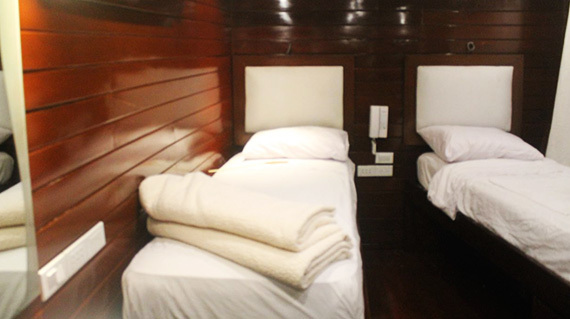 M/V Spondias has 4 comfortable cabins; all have King-size beds, bedside tables, air-conditioning, mirrors, fine pillows, sheets and blankets (100% Peruvian pima cotton, 400 thread count), 100% organic bathroom ammenities, finest quality bathrobes and towels, electric current for 110/220 volts, shower, hot water, safe deposit boxes and minibar. 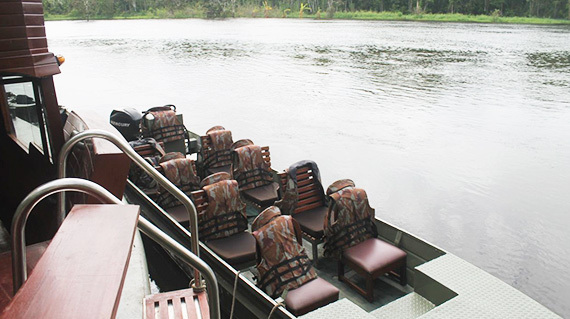 Ample social areas and Restaurant plus highly trained Crew and expert Bilingual Guides to make your Amazon Journey, an unforgettable experience! 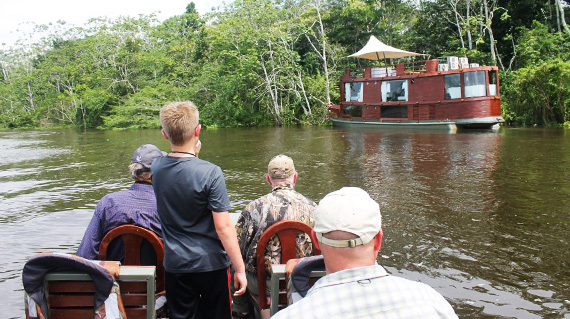 Let’s cruise the Amazon Jungle on board the Spondias! 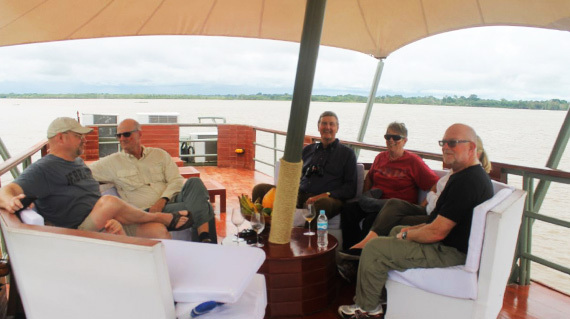 All about the Spondias Amazon River Cruise. 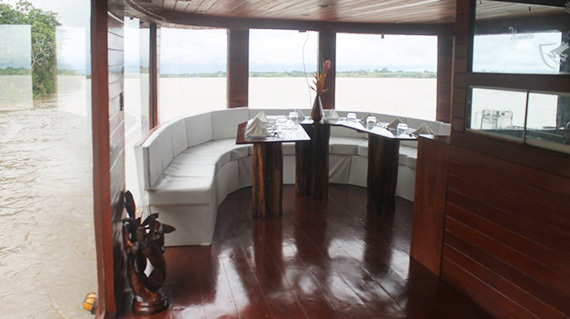 M/VSpondias has 4 cabins. All of them have King size beds, bedside tables, air conditioning (in rooms and all indoor areas), mirrors, fine pillows, sheets and blankets (100% Peruvian pima cotton, 400 thread count), 100% organic bathroom accessories, finest quality bathrobes and towels, electric current for 110/220 volts, shower, hot water, safe deposit boxes and minibar.